The Toronto Transit Commission and the Toronto Police have more than 1,600 employees on long-term disability and spent $55.6 million supporting them last year. 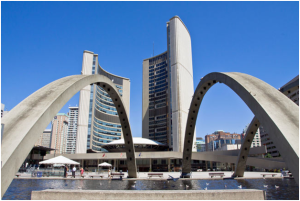 There were 1,636 unionized and staff employees on the LTD rolls at City Hall, the Toronto Police Service and the TTC at the end of 2014 according to information obtained under municipal freedom-of-information (FOI) legislation. On average, these employees have been off work and covered by LTD for six-and-a-half years, with a sizable 23% of them on LTD for more than 10 years. In addition, long-term care homes have 178 staff on LTD and employment and social services have 124 on LTD. 51 city employees have been on LTD for over 20 years and one employee between 30 and 35 years. LTD pays between 60%-85% of regular pay, depending on an employee’s contract and job classification. An employee is considered totally disabled after two years if he or she is unfit, physically or mentally, to do his or her job. The employee must also be unfit to perform any other jobs that pay a comparable salary. Employees, up to age 65, are eligible for LTD benefits if they continue to meet the definition of total disability. This includes medical and dental benefits. Manulife is responsible for assessing and following up with employees on LTD.
You can read the full article at the Toronto Sun.